The New York Knicks have waived Enes Kanter, allowing him to sign with other teams for a playoff run. 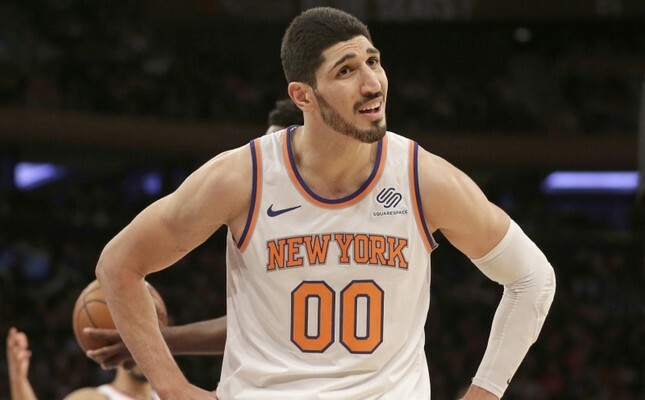 The Knicks were unable to find a trade before Thursday's deadline for Kanter, their former starting center who had fallen out of the rotation altogether with New York having the worst record in the league and focusing on its younger players. The center linked to the Gülenist Terror Group (FETÖ) was acquired from Oklahoma City in the Carmelo Anthony trade in September 2017. He had become frustrated after first losing his starting spot and then any spot at all in recent weeks. Players on an NBA roster have to be waived by March 1 in order to be eligible to sign with another team an appear in the postseason. Last month, Istanbul Chief Public Prosecutor's Office's Terror and Organized Crime Bureau prepared an extradition request along with a red notice for Kanter on the charge of "being a member of an armed terror organization." After the July 2016 coup attempt in Turkey, Kanter wrote on social media that he was openly supporting Fetullah Gulen — the U.S.-based leader of the FETÖ, which orchestrated the defeated coup that left 250 people killed and nearly 2,200 injured.